I normally only post about my Crochet Critterz here, but have you seen the adorable Star Wars themed sets offered by A Crafty Cupcake? 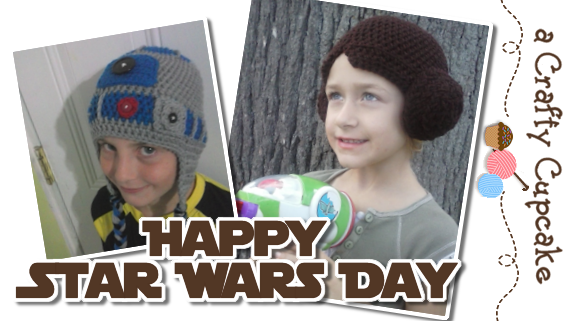 There are several hats, including stormtroopers, Darth Vader, Princess Leia, R2D2, and Yoda. There are also come super cute baby costume sets - Baby Ewoks and Baby Yoda. Check the Facebook Fan Page for more pictures and details. Greetings! And welcome to my lil geeky corner of the web! I'm a self proclaimed crochet geek. This blog is where I will share all the things geeky and crocheted that I love with you! Crochet Geekery is a division of A Crafty Cupcake.